Why wait until fall to make soup? 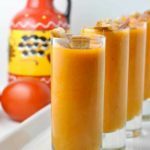 Sunny summer days call for easy dishes like this classic Spanish chilled tomato soup, called Salmorejo in Spain. 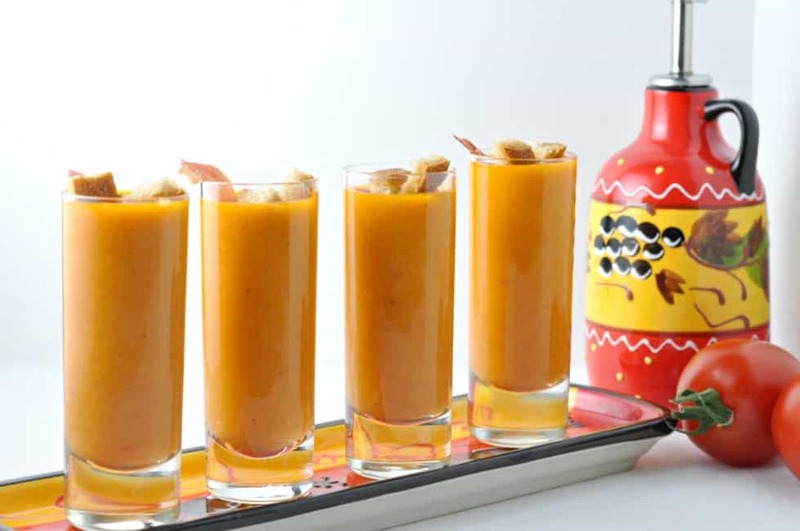 Soup shots are great at any winter dinner party, but these shots of Salmorejo, or classic chilled Spanish tomato soup would be perfect for a summer gathering. 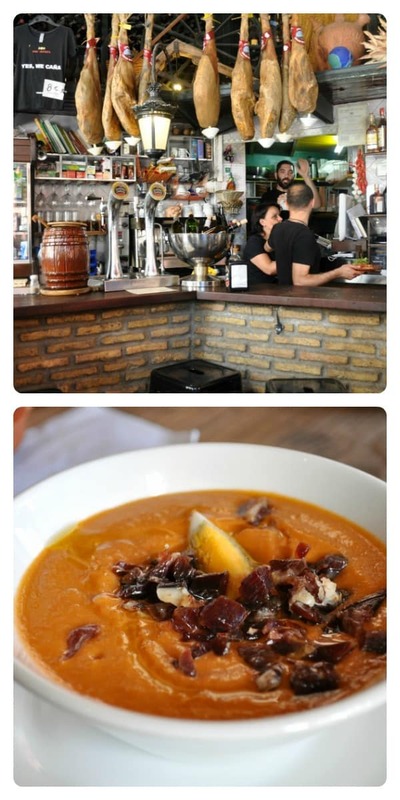 On our recent trip to Spain, Salmorejo was featured on menus in most restaurants and in tapa bars. 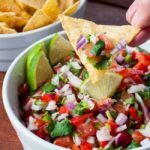 It’s like a cousin to gazpacho, but oh, so much richer! 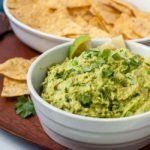 I sampled it several times to try to figure out the recipe, but I found this one on Saveur and have adapted it only slightly. The secret ingredient? Bread! While the recipe calls for a baguette, I can’t see any reason you couldn’t use gluten-free bread. I used spelt bread, an ancient grain with low gluten that I find I can tolerate. 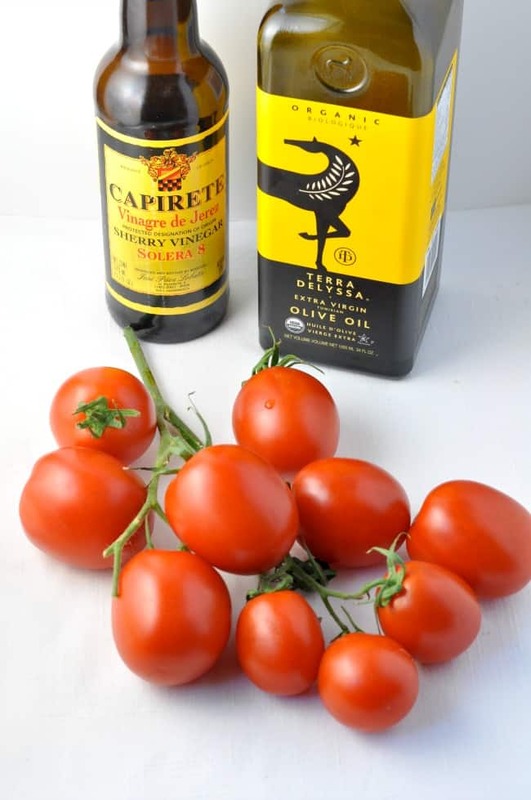 Use a Spanish sherry vinegar for authentic flavour. The one in the photo is from Jerez in Andalusia and it is usually available here at home in the deli section of your supermarket or in specialty stores. Begin by coring the tomatoes. Here’s a short video that shows a quick way to do so. 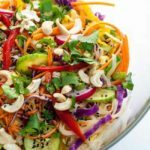 This is an easy recipe. 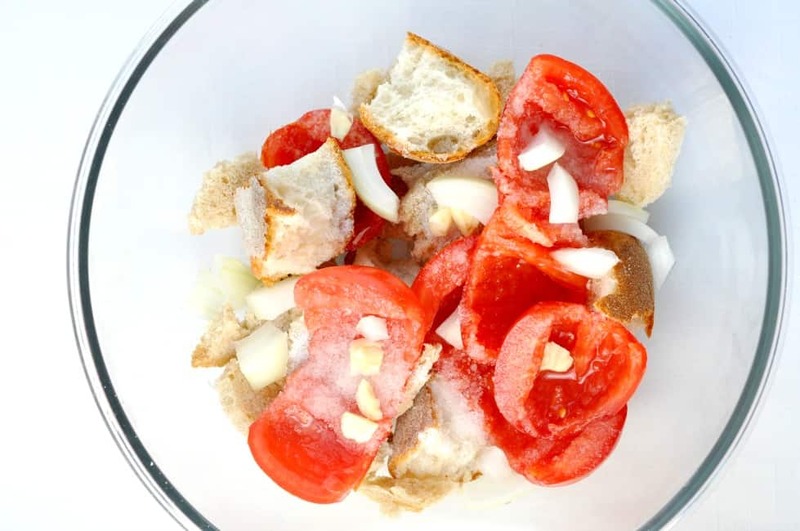 Place the salt, garlic, onion, tomatoes and bread in a large bowl and pour boiling water over top to cover. Let it stand for an hour while you go and do something else that needs doing. Then all you have to do is strain it, squeeze it and add some oil and vinegar, whir it in the blender and you’re done! It’s ready to be chilled in the fridge until serving time. 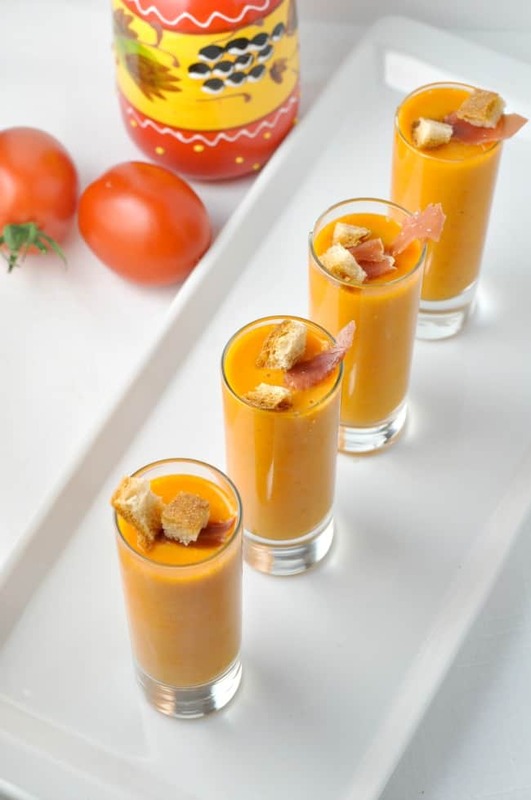 Garnish with some Serrano or Iberico ham, hard-boiled egg or a few croutons and serve in small bowls or in shot glasses. Salud! 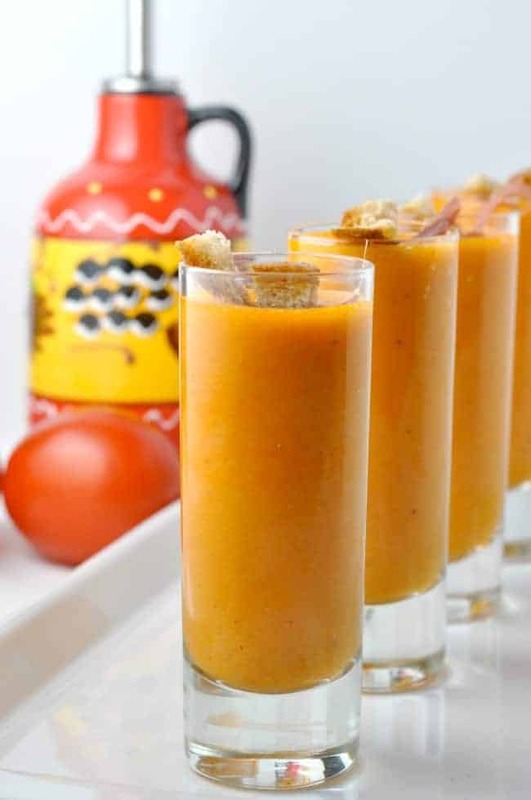 Sunny summer days call for this classic Spanish Chilled Tomato Soup, called Salmorejo in Spain. Core and seed the tomatoes and put them in a large bowl with the salt, garlic, sliced or torn baguette and chopped onion. Cover with boiling water and let it sit for an hour. Strain the mixture through a sieve, reserving 1 cup of the liquid. Put the reserved liquid in the blender. 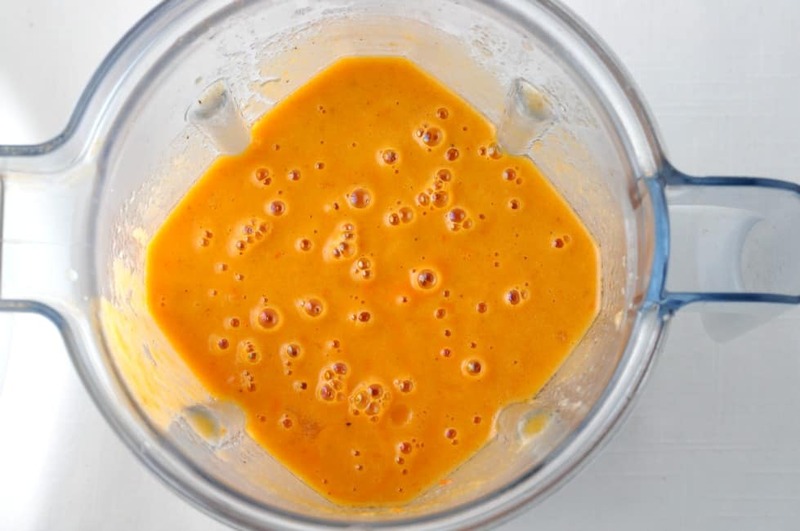 Squeeze out the bread mixture with your hands and add it to the blender. Add the oil and vinegar and blend until smooth. 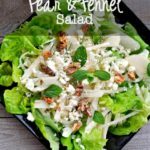 Serve chilled, garnished with a drizzle of olive oil, some shredded ham, chopped hard-boiled eggs, or a few tiny croutons.